Lorna Mello, Senior Vice President of Sales & Marketing for Old Republic Home Protection Elected President of National Home Service Contract Association. Richard Adams elected VP and John Walsh, Secretary Treasurer. June, 2018 – Lorna Mello, a highly experienced veteran and leader in home service contract sales and marketing was elected President of the National Home Service Contract Association (NHSCA) at its national meeting June 21 in Michigan. Mello is Senior Vice President of Sales and Marketing with Old Republic Home Protection Company, based in San Ramon, California. She succeeds Mike Bartosch of 2-10 Home Buyers Warranty of Denver who completed a two year term. “Lorna has been a national leader within the NHSCA for many years and served in numerous lead roles. It is hard to think of anyone more capable and knowledgeable,” commented Art Chartrand, Executive Director and Counsel to the Kansas City-based trade group. “The home service contract business faces unprecedented demand and growth in the next few years. Supported by the internet, consumers now have unlimited access to compare products, coverage, and price, at their convenience. As a result, it is imperative that the NHSCA help provide protections for our industry’s consumers, ensuring they are served by reputable providers” said Mello. “Working through the NHSCA and closely with state regulators, we will meet that challenge. Consumers need to feel confident that when they purchase a home service contract the company can be trusted to deliver on their commitment. Always be sure the home service contract provider is a registered member of the NHSCA. Be sure to look for the NHSCA logo on their brochure, or visit www.homeservicecontract.org for a list of member companies.” Mello advises. Mello echoed the words of Bartosch noting that today, people fall into three categories when it comes to protecting the condition of their home. 1) those that want to but no longer can; 2.) those that can but don’t want to or have time to; and 3.) those that simply have no idea how. Richard Adams, CEO of Utah based National Home Guaranteed was elected Vice President and John Walsh, counsel for HMS Cross Country was elected the group’s secretary/treasurer. “These are not only great business people, but great family people. They understand consumers and work hard to meet consumer expectations in this ever important and growing industry, ” said Chartrand. NHSCA members are the nation’s leading providers of consumer contracts to service, repair, or replace household systems and appliances that fail due to normal wear and use. The NHSCA works to improve the public’s understanding of the value and benefits of home warranties (service contracts), and encourages sound and ethical business practices and standards. In 2016, over four million service contracts were sold by NHSCA members, with well over one billion dollars paid at wholesale cost representing hundreds of millions more in consumer benefits and savings. The National Home Service Contract Association (NHSCA) is a non-profit 501(c)(6) industry trade organization of member companies serving home service contract providers and consumer interests throughout the United States. For more great industry and consumer information, visit http://www.homeservicecontract.org. Lenexa, Kan. – Sept., 2016 The National Home Service Contract Association (NHSCA), a non-profit 501(c) (6) industry trade organization comprised of member companies representing home service contract providers and consumer interests throughout the United States, announces today that its members sold more than 4 million home service contracts (often referred to as home warranties) in 2015, an 8-percent growth from 2014. The home service contract industry provides service, repair or replacement of major household systems and appliances that fail due to normal wear and use. Contracts generally cover items such as dishwashers, ovens, cooktops, garbage disposals, microwave ovens and water heaters; electrical, plumbing and heating systems; as well as ventilation and air conditioning systems (HVAC). The majority of home service contracts are offered through real estate professionals to the sellers and buyers of homes during the resale process. However, direct sales to consumers now account for approximately one-third of all home service contract sales. As with the sale of any warranty contract, buyers should read and understand the coverage afforded, as well as the limitations to coverage. Buyers should not rely solely on others to explain the coverage, as coverage may be inaccurately represented, which can cause frustration later. While national figures continue to grow, home service contract market penetration differs from state to state. Various sources cite that in California, where the industry began in 1971, more than 90 percent of all home sales include a home service contract. Formed in 2004, the NHSCA exists to conduct research and promote education, publications and other methods that improve consumers’ understanding of home service contracts. Its mission is also to distinguish the home service contract industry from insurance, retail warranty and extended warranty and the automobile dealer service business. It also informs members of changes in laws and practices as well as pending legislation that affects the home service contract market nationwide as well as sponsors meetings and educational programs. In addition to the protecting consumers on the wear and use of a home’s core appliances and systems, many home service contract providers also offer optional items such as swimming pool or spa equipment and other free-standing appliances such as kitchen refrigerators or washers and dryers for an additional fee. Contract terms may be annual and renewable, but many are now offered on monthly terms. Although the term “home warranty” has been used historically throughout the industry, the more correct term is “home service contract.” Home warranty is a descriptive term coined because the home service contract industry evolved by providing contracts purchased by home sellers for home buyers as a form of “warranty” to protect the new buyer should a mechanical problem develop during the first year of ownership. The National Home Service Contract Association (NHSCA) is a non-profit 501(c) (6) industry trade organization of member companies serving home service contract providers and consumer interests throughout the United States. Members of the NHSCA are reputable, licensed home service contract providers in good standing, domiciled in various states across the nation. All members agree to adhere to a code of ethics, which promotes sound and ethical business practices. A current list of member firms are listed on the NHSCA website. For more information, please visit www.homeservicecontract.org or follow the NHSCA on Twitter @coveryourhome. Boston, MA, June 10, 2016 – Mike Bartosch, a long time leader in the home warranty industry, has been named President of the National Home Service Contract Association (NHSCA). Bartosch is President of 2-10 Home Buyers Warranty of Denver, Colorado, a leading provider of home warranty products and home service contract plans. Alma Jeppson, CEO of Utah based, Landmark Home Warranty was named Vice President. As president of NHSCA, Bartosch will serve as an advocate for the home warranty (service contract) industry and work to further educate consumers about the value home service contract providers deliver. “Mike has been a leader in our industry for years and now has the opportunity to better share and promote many of his forward thinking ideas in consumer service” noted Arthur J. Chartrand, Chief Executive and Counsel of the Kansas City based trade group. The NHSCA also welcomed, AHG Home Warranty of Mesa, Arizona as a new member at its recent national meeting. NHSCA members are the nation’s leading providers of consumer contracts to service, repair or replace household systems and appliances that fail due to normal wear and tear. The NHSCA works to improve the public’s understanding of the value and benefits of home warranties (service contracts), as well as encourage sound and ethical business practices and standards. In 2015, nearly 4 million service contracts were sold by NHSCA members, with well over one billion dollars paid at wholesale cost representing even hundreds of millions more in consumer benefits and savings. Read original article in full at homewarrantyreviews.com. Homewarrantyreviews.com (2016) As homeowners, you have to live under a rock these days not to have certain lifetime or lifestyle plans in place. In today’s world, there are many versions of service and warranty plans for life, health, your personal goods and your home. Without them, most would say you are way behind and perhaps even in danger, both financially and physically. How Can a Home Warranty (Service) Contract Help You? If you are a homeowner and have experienced the syndrome of costly repairs to any of your home appliances, you would be wise to consider the benefits versus costs of a home warranty contract. Due to the many economic challenges faced by families, many are remaining in their homes for a longer period of time. This results in aging appliances and the potential for costly repairs. A home warranty (service contract) with a quality member of the National Home Service Contract Association is the solution for homeowners. Before we delve further into the benefits of a home warranty contract, consider how you, the homeowner, currently utilize other products to protect yourself, your lifestyle and your family. Personal Health Plan: This would include exercise and proper diet. Always a complex plan that is hard to apply, yet unwise to ignore. Health Insurance Plan: Without question, a pressing need for everyone. Health insurance is the main way we handle and budget the care or protection against catastrophe and is increasingly difficult to afford. Life Insurance Plan: Often hard to appreciate, hard to buy, and hard to afford. And this is the real fun part, you have to die and others get the benefits. Few plan for it effectively and it is very expensive. These plans are usually either required by lenders or law. With that being said, no one enjoys using them. While critical, you may never actually need or use them in your lifetime. Maybe you have a lawn care plan, automobile maintenance plan, pest control program or a home cleaning service? These are nice luxuries for those who can afford it. But what plan is in place for the biggest investment you own that will provide assurance and peace of mind? And, is something you can enjoy now and is affordable? As a child, I spent countless hours with my Dad learning how to put a fan blower motor on a furnace. I learned what a “heat and limit switch” looked like, what it did and even how to replace one. Dad and I even put a water valve in our old dishwasher once. Here is the reality. I never taught my son to do these things. My daughter was no more interested than my sisters were in such mundane household mechanics. In today’s world, furnaces and most other major household systems are just too complex to service or repair for even the advanced homeowner. If a dishwasher breaks, economics often say replacing is a better option. And let’s be clear, if you need a new gas water heater, don’t even think about letting your son in law give it a try. With all the technology and environmental requirements associated with these appliances, it is far too dangerous for anyone but a professional. Today, families work long hours and spouses often travel frequently and are not around to work on air conditioner compressors that go bad, or septic tanks that back up into the master bedroom. The reality is most individuals wait until something breaks to call for assistance with many household systems and appliances from glass range tops to water softeners. Back in the day, even when my wonder Dad gave up, we had a family plumber. We also had a family electrician. When a swift kick did not work on the refrigerator or TV (believe it or not these were actual and often effective remedies that often worked in the pre-1980 world), Dad just called my uncle or the guy next door. If old Uncle Hubert does volunteer, remind him that duct tape and bailing wire aren’t very effective these days on your computer chip controlled thermostat. Today, very few individuals have a trusted family plumber or electrician. Dealing with a broken valve, a cracked heat exchanger, a blown compressor, a leaking gas water heater or a jammed up shower valve is pretty much beyond the skill of today’s homeowner. Homeowners are forced to ask neighbors, post a plea on Facebook or pay some Internet site to suggest a local contractor. None come with anything close to a guaranty. And even if you find a reputable repair person, the cost can quickly escalate beyond your expectations. A home warranty or service contract manages your home service needs, repairs and replacement of your major household appliances and systems. By investing about $550 a year in a home warranty, you have an 800 number, answered 24/7. A local service and repair professional will be dispatched to address your needs. You no longer need a family plumber or a brother in law masquerading as an uncertified electrician. You can avoid a paid referral service to some lady who recommends cake makers and photographers along with plumbers she does not guaranty. Most homes average nearly two service calls a year. A home service contract handles not only what you don’t have time for, but nearly always, what you are unqualified to handle. And don’t forget, members of the NHSCA only utilize quality minded, screened local contractors in your area and stand behind their work. Comprehensive home warranties cover a wide array of household systems and appliances and are becoming standard on any home sale transaction. However, many providers now offer directly to consumer contracts on your home today. Better yet, providers are increasingly offering you the ability to pick the appliances and systems most important to you as you build and price your own contract. It is just one more way the home warranty industry is bringing innovation to you. A home warranty contract with a quality member of the National Home Service Contract Association is changing the way Americans live and relax. It is a necessary lifestyle program that you will use, and will enjoy in your lifetime. The National Home Service Contract Association (NHSCA) is a non-profit 501(c) (6) industry trade organization of member companies serving home service contract providers and consumer interests throughout the United States. For more great industry and consumer information, including short helpful videos, visit http://www.homeservicecontract.org or call 913-871-5600. Clean your dryer vent for both safety & better clothes and never leave dryer running when not home. According to the National Fire Protection Association, dryers and washing machines were involved in one out of every 22 home structure fires reported to U.S. fire departments in 2006-2010. Clothes dryers accounted for 92% of the fires; washing machines 4%, and washer and dryer combinations accounted for 4%. Lint is often the culprit. 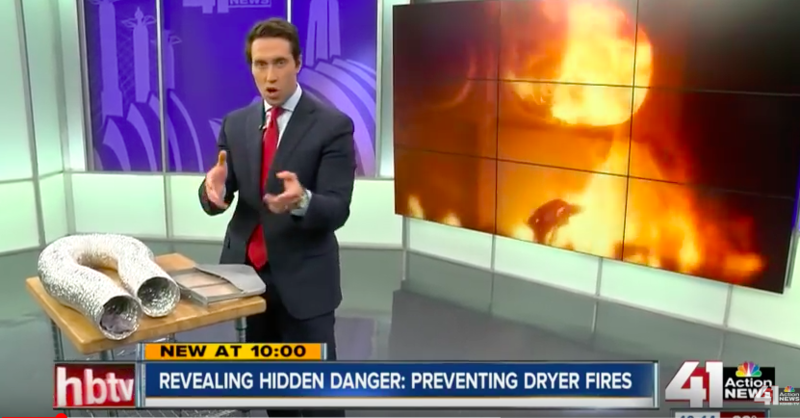 NBC Action News in Kansas City further highlights the dangers of these fires and the best was to prevent them in this recent report. We urge you to take a moment to watch this informative clip. Click Here. KANSAS CITY, Mo.—Kevin O’Connor, host of This Old House on PBS recently sat down with the Kansas City chapter of the National Home Service Contract Association to discuss tips for homeowners. Nominated for an “Outstanding Service Show Host” Emmy Award in his debut season, Kevin O’Connor has been appearing as host of the Emmy Award-winning series, This Old House, and the Emmy-nominated series, Ask This Old House, since 2003. He also serves on the editorial board of This Old House magazine, published by This Old House Ventures, Inc. Along with Amy Matthews, Kevin is also the host of This New House, which premiered on the DIY Network in the summer of 2010. A home service contract/warranty is a contract for service, repair or replacement. It has features and benefits that clearly differentiate it from builder’s and product warranties and insurance. Prompt attention, qualified service providers and peace of mind, and protection from unexpected, and often-expensive repair bills, are primary benefits of home service contracts. The National Home Service Contract Association (NHSCA) is a non-profit 501(c) (6) industry trade organization of member companies serving home service contract providers and consumer interests throughout the United States. For more great industry and consumer information, visit http://www.homeservicecontract.org or call 913-871-5600. Ovens and air conditioners can fail at the worst possible times. Don’t be the horror story shared by friends and family the next twenty years. In a recent television segment, the NHSCA shows how to prepare the appliances in your kitchen so they’ll be ready for all the food and frolic when your house guests arrive. Learn tips on how to keep the garbage disposal fresh and clog-free and keeping your oven clean while preparing for big holiday or special event meals. Lots of dirty dishes? We have some important information to help you keep your dishwasher running better and getting your dishes cleaner. There is also helpful information on keeping your furnace filter clean so that your home heats efficiently and your furnace lasts longer. Cost of service and repair can be costly according to the National Home Service Contract Association. A home service contract is a good option. (Lenexa, KS) — There are many items to consider when purchasing an existing home. Many buyers, especially those in the market for their first home, look at the sale price to determine if they can afford to buy. The National Home Service Contract Association, the industry trade organization serving home service contract providers and consumer interests, strong suggests that consumers factor in the cost of maintenance, repair and replacement of major appliances and homes systems when budgeting for a home. Knowing the “life expectancy” of those systems is key. Take for example an air conditioning system. Most AC systems have a life expectancy of 10-15 years. If you are considering the purchase of a home that is over 15 years old, with the original system, you could be living on borrowed time. Three years or three months? Who knows? It’s a guessing game, but the only thing that is often certain is that when it does go, it will be at the most inopportune time. Considering that the average cost to replace and install an average air conditioning system is $4,500 – $6,500, doing a little upfront research is a pretty good idea. You can protect yourself from many of these budget busters by purchasing a home service contract form a member of the NHSCA. Home service contracts provide service, repair or even replacement on a home’s major systems and appliances. At an average range of $350 – $550 for a year, these contracts typically cover items such as heating systems, interior plumbing, electrical systems, water heaters, dishwashers, and garbage disposals. Other items such as pools, spas and septic tanks may be added at an additional fee. As always, we suggest you consult with your real estate agent for guidance. 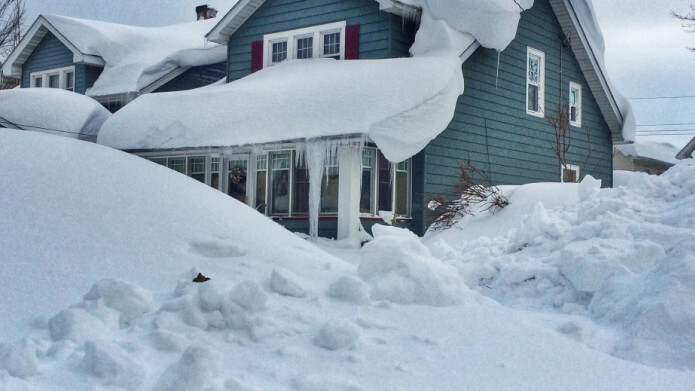 Take a few minutes to read and make sure you have properly winterized your home. Read the entire (original and unedited) SheKnows.com by Rolla Bahsous online here. If you’ve already pulled out your winter coat and put snow tires on your car, there’s still one thing you’re missing before the cold weather hits. Most people completely overlook the few simple steps needed to winterize a house. It’s important to remember that while home service contracts generally provide service, repair or replacement for the major built-in appliances and systems in your home – such as dishwashers, electrical and plumbing systems, heating ventilation and air conditioning systems – regular maintenance is still very important. Turn the heat on and be sure that all the rooms in your home are getting enough heat through the vents. Check and change your HVAC (furnace) air filters. “Many of us think of changing our furnace filters just once or twice a year, yet experts say we should replace them every month during the heating season,” says Andrea Woroch, a consumer and money-saving expert. Schedule a professional furnace maintenance visit. A furnace tune-up not only includes cleaning that keeps your furnace running efficiently, but it also catches small problems before they turn into big problems that can not only cause inconvenience and discomfort. An annual maintenance contract from a local, trusted HVAC company is also a great idea. They will not repair or replace broken units like a home service contract, but they go a long way to keeping your home running happy and healthy. Check batteries and update your fire and CO detectors. Check and replace all batteries as needed. Don’t forget a good quality carbon monoxide detector in your bedroom and near your gas heater and/or gas water heater. Even a small problem can lead to gas leaking into your home or dangerous carbon monoxide levels. Carbon monoxide (CO) is a deadly, colorless, odorless, poisonous gas. According to the Consumer Product Safety Commission, on average, about 170 people in the United States die every year from CO produced by non-automotive consumer products. Be mindful, many detectors typically need to be replaced every five to seven years. If you have a fireplace, be sure it’s ready by ensuring the chimney is clean. If you have burned a few cords of wood, having a professional chimney sweep is mandatory. If you don’t have a fireplace but wish to have the cozy ambience, check out some faux fireplace units at your local décor store. Some of these fireplaces are designed to emit heat in addition to the “fire” display. Remove leaves around your outside HVAC unit. The HVAC unit is likely your home’s largest operating system. The compressor part of your air conditioner is located on the exterior of your home and can become inefficient with debris and leaves blocking it. You can even use a wet dry vacuum or your hands to remove the debris from the bottom for manual cleaning. Wear gloves if using your hands for manual cleaning and turn off your main breaker first – just to be safe. This may seem like a no-brainer, but it’s also one of the easiest home winterizing tips to overlook — because it’s so simple. According to the NHSCA, “Un-drained water in pipes can freeze, which will cause pipes to burst as the ice expands.” The NHSCA recommends, “Start by disconnecting all garden hoses and draining the water that remains in faucets. If you don’t have frost-proof faucets (homes more than 10 to 15 years old typically do not), turn off the shut-off valve inside your home. The National Home Service Contract Association (NHSCA) is a non-profit 501(c) (6) industry trade organization of member companies serving home service contract providers and consumer interests throughout the United States. For more great industry and consumer information, visit http://www.homeservicecontract.org or call 913871-5600.